Nose Work is a new and fast growing sport that is fun for both the handler and the dog. Nose work, simply put, is a game we create for our pet dog of finding specific scents that they learn to use their nose to find for us. Almost all dogs were born with the ability to find and discriminate different scents with their nose. The trick is learning how to get your pet dog to find a specific scent that you want them to find. Our training is geared toward handlers who want to train dogs to compete in the sport of Nose Work. 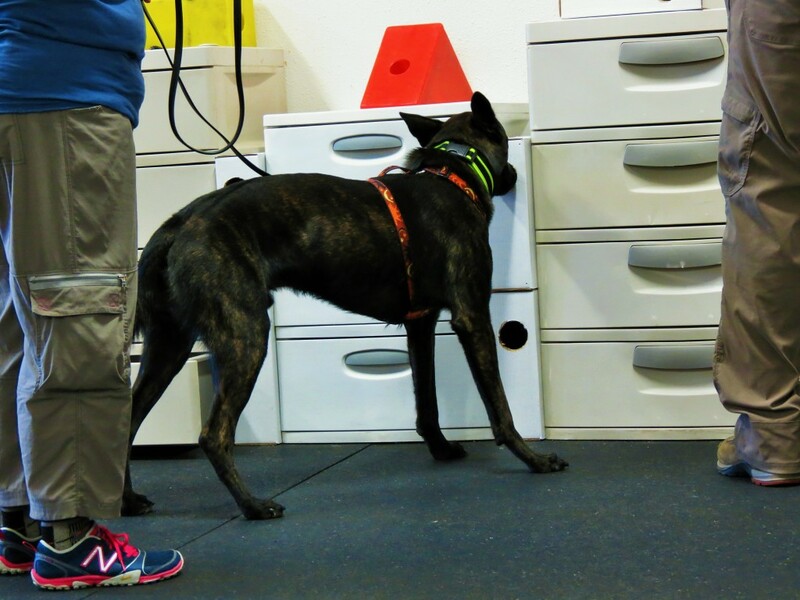 We offer the Andrew Ramsey system of scent detection training. Andrew Ramsey is a former Military Working Dog trainer and UKC Nosework program co-creator. 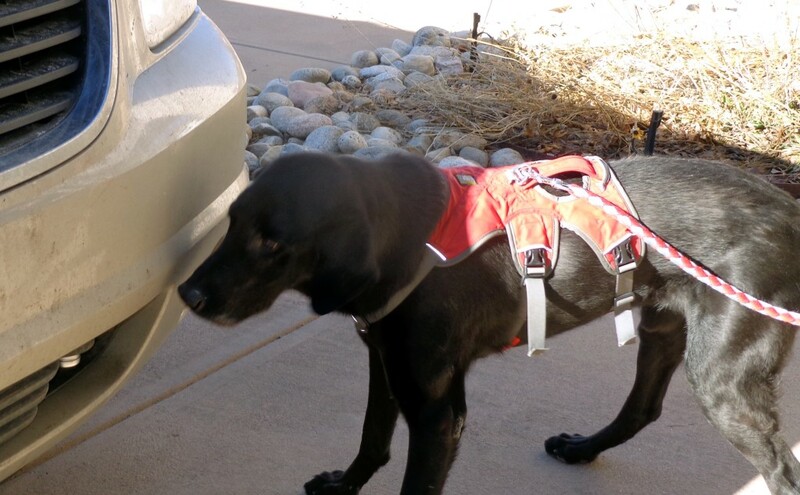 His training system uses real world explosive detection training techniques to help companion dogs excel in nose work sports and scent discrimination work such as hunting, tracking, SAR (search and rescue), investigation work and assistance dog medical alerting. His training system succeeds by teaching handlers to properly make use of science based techniques and tools like training markers, as well as identifying each dog’s most potent reinforces (rewards). The Andrew Ramsey method also teaches participants how to develop their dog’s drive, motivation and scent identification accuracy via training a very specific focused response. The RAMSEY NOSEWORK system is designed to produce reliable, repeatable results with ANY breed or size of dog.